TechInsights analysts have picked up Lenovo’s first 10nm CPU and taken it apart to take a look at the processor. This is the first time we’ve seem a Cannon Lake CPU in the wild, this is Intel’s much-maligned 10nm process and based on a 71mm Cannon Lake die. With Intel remaining very quiet with technical details and focusing more on sales pitches those of us in the independent media have had to scramble to find necessary information giving us only days to find out and inform the readers. 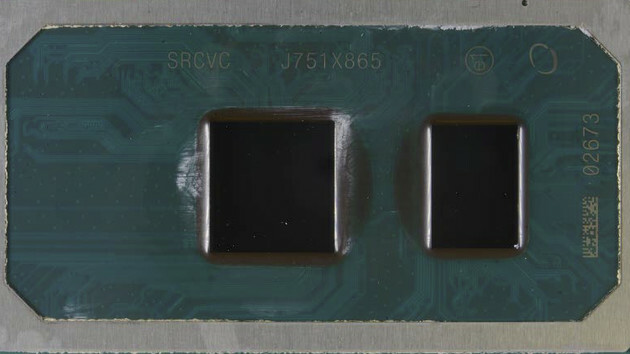 This includes, among other things, the size of the processor die, generally can be and likely is an indicator of the advantage over the previous production. While many times the theoretical advantages of a new production are very beneficial, the actual use case scenario can be masked by numerous factors like the current issues with 10 nm and why it’s taken Intel so long to release these parts. 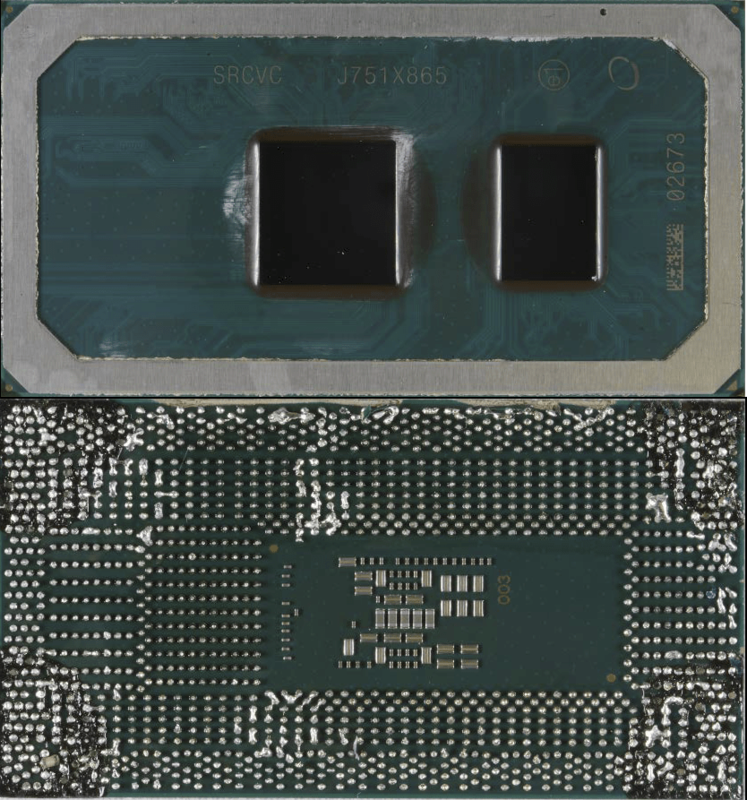 Computerbase has done some digging and detailed that based on the image they can calculate the package size of 45mm x 24mm for the chip of about 71mm and comes with the chipset installed next to it of only 47mm. Cannon Lake’s main advantage in its 10 nm manufacturing process compared to the first 14 nm Broadwell-U processor is rather small and had a die size of 82 mm and not much has changed. The base has remained almost exactly the same for most of the Core U generations with its 2+2 chip and packs 4 MB of L4 cache a dual core CPU with a base frequency of 2.20 GHz and boost clocks of 3.20 GHz. The CPU also comes with a GT2 GPU on the die, though it is disabled due to incredibly poor yields in the new productions and a discrete AMD card in installed instead. Although Cannon Lake still features an AVX512 instruction set and a larger GPU which is set to have 40 execution units over from 24 in the past. While Intel is currently shipping 10nm to OEMs such as Lenovo who already have products listed in the far East, Intel themselves have stated that HVM or high volume manufacturing on the new processors isn’t expected until early 2019.